Trying to visualize what a ring looks like, from a salespersons description, a green wax, or a pencil drawing is difficult. 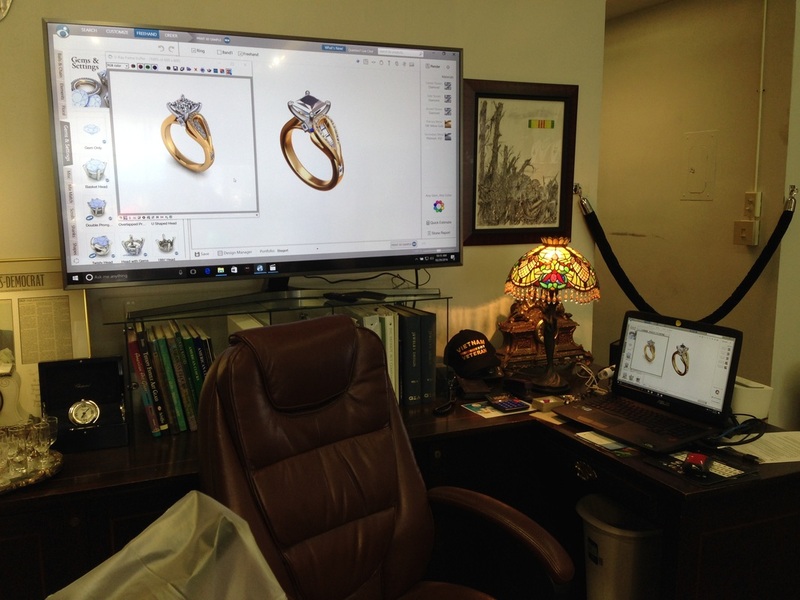 Our Counter Sketch and Matrix computer programs allow you to see the completed design right in front of your eyes in gold, silver, or platinum and with any shape and color stone you wish. 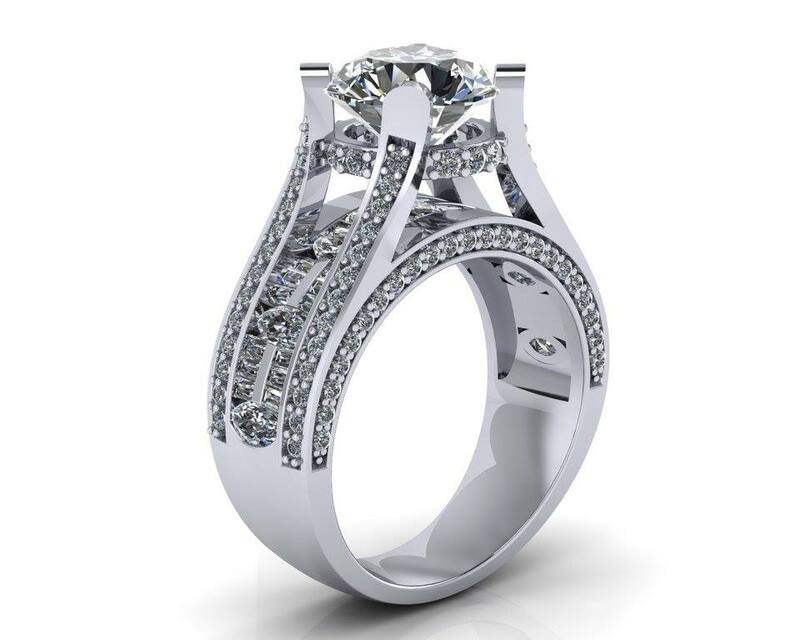 We can make several designs on the computer before we commit to making it in precious metal and gem stones. Our system helps us build confidence and trust in our ability to produce the very best products for our customers. A couple will usually purchase their engagement ring first, with little or no thought to the wedding band they are going to need later on at the church. When it's time to buy the wedding band sometimes they don't exist or they don't fit correctly up against the engagement ring.